Cornerstone Physical Therapy is an outpatient physical therapy practice that specializes in orthopedic rehabilitation musculoskeletal injury, strain/sprain, sports injuries, and oncology rehabilitation to combat the side effects of cancer treatment. Whether you are a sports-enthusiast, a weekend warrior of just want to get back to your normal daily activities – we understand how important it is to help you as quickly and safely as possible. We are committed to both our patient’s timely recovery and prevention of future impairments. Licensed physical therapists providing fast pain relief. Appointments offered within 24-48 hours with or without a physician referral. Video based home exercise program system with iPhone/android application. Strong reputation with current research based evaluation and treatment techniques. Friendly and open clinics with easy access and parking. Our approach is to create a treatment program for YOU that optimizes YOUR body’s abiligy to heal. Having prompt, appropriate treatment can contribute to a faster recovery, which means returning sooner to work, daily activities, hobbies or sports. I have had the privilege of working with Justin Weisbrod and Cornerstone Physical Therapy in Gahanna, OH for the past several years. I have referred many patients, family members and friends to Justin with consistently excellent results, both medically and from the standpoint of patient satisfaction. Cornerstone is a first-class facility and I recommend Justin highly. by – Dr. Thomas D’Onofrio, D.O. 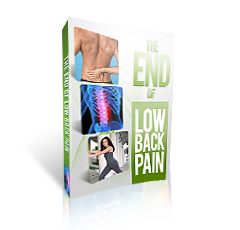 Free eBook : "Knee Pain Solution"
Free eBook : "How To End Low Back Pain"
Free eBook : "Shoulder And Neck Pain"